New book, 48 pages, MAA113. Henry V became King of England in 1413. He was one of the great warrior kings of the country, cast in the same mould as Edward I and Edward III. He was just, pious, athletic, chivalrous, acquisitive, ruthless and eager to gain honour on the field of battle. Henry hoped that a successful campaign against the nation's traditional enemy would draw the people together and establish the popularity of the Lancastrian dynasty. 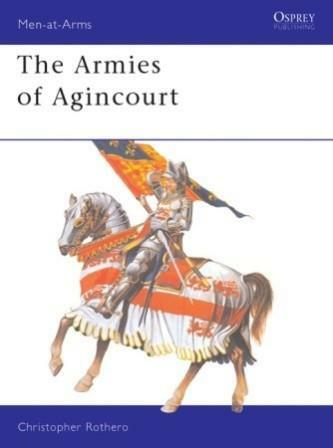 This splendid addition to Osprey's Men-at-Arms series explores the background, organisation and equipment of the armies which fought in one of the most famous conflicts in England's history - the Battle of Agincourt.